Kate and I don’t travel much any more, but we did make an overnight trip to Nashville this past weekend. I have pretty much ruled out trips of anything more than a couple of days, so I’m glad to say that this one went well. We had a nice dinner at McCormick and Schmick’s after leaving the Davises. Kate turned in early while I watched the Texas Tech/Michigan State game. When Kate woke up Sunday morning, she looked over at me at the desk where I was working on my laptop. I got up from my chair and walked toward her. She said, “Richard?” I said, “Yes, did you think I was someone else?” She said, “I was hoping it was you.” I said, “That must have been scary if you thought I might be someone else.” She said, “Not really scary, but . . .” She couldn’t think of the words to say what it was like, but she was definitely relieved to know it was me. This is just one more occasion when I try to imagine what it is like to wake up and not have any idea of where you are. Even though this happens to her at home, I feel sure there is a certain amount of comfort in being in “familiar” surroundings. Being in a hotel doesn’t offer that. From there we went to brunch at Maggiano’s. When we checked in at the hostess stand, the managing partner was standing there. I don’t know what he said, but he and Kate got into a brief exchange in which each was kidding the other. I had a difficult time getting her away to follow the hostess to our table. It was one of those times that I pulled out one of my Alzheimer’s cards. Shortly after we were seated, the manager came to our table and thanked me. He said he had an aunt with dementia, and something Kate had said made him think she might as well. Kate had brought a TCU magazine with her. He noticed that and said that he had worked in several restaurants in Texas. He and Kate connected once again. She enjoyed hearing him talk about her home state, especially since he had enjoyed his time there. Our server was very helpful with the menus that included both brunch and regular menu items. She was also very attentive. We were off to a good start. About mid-way through our meal, an assistant manager dropped by to check on us. We had a good conversation with her. When she left, she dropped a card for a free dessert. We took advantage of the offer and had an enormous piece of flowerless chocolate cake. After eating, we were off to Ellen’s memory care facility. We had another good visit with her. We chatted for about an hour before turning to YouTube for music. This time we viewed segments from several Andre Rieu concerts. Once again, music played an important role in our visit. That is becoming more important as her ability to talk continues to decline though not too much since last time. It was a successful trip. I will consider making Nashville an overnight trip in the future – at least as long as it works for Kate. Seeing friends in the afternoon, having a nice dinner that night, brunching at Maggiano’s, and visiting Ellen makes for a nice weekend. I treasure days like this. Kate’s confusion in the morning continued yesterday. The good news is that she wasn’t at all irritable. She just didn’t know who she is, who I am, or where she was. She was sleeping very soundly when I went to get her up. I really hated to wake her, but I knew we needed to get to lunch and back before her massage at 2:00. I wanted to allow plenty of time to avoid rushing her. As I expected, she didn’t want to get up, but she did so very cooperatively. She was confused. She looked out the bedroom window as she does each morning and didn’t recognize where she was. Then she said, “Who are you?” I told her I was her husband. She was puzzled. I didn’t try to explain. I simply suggested that she take a shower and that we could look at some pictures I thought would help her. Again, she was cooperative. She wanted to rest a while after her shower. That is not unusual at all. We had time, and I told her to go right ahead. After thirty minutes, I went back and helped her dress. When she was ready, I took her to the family room and showed her the “Big Sister” album. She immediately took to the cover photo of her and her brother. I asked if she knew who they were. She pointed to her picture and said, “Me.” She also recognized her brother. I find it amazing how a photo can begin to bring back memories. It is something that her intuitive abilities enable her to do. We opened the cover and looked at the first few pictures. She connected with them very quickly. Her sense of confusion was lifted. I suggested we go to lunch and come back to spend more time with the album. She asked if she could take the album with us. I told her she could. When we got to the restaurant, she asked if she could take it inside. As I was about to suggest that she leave it in the car, she said, “Maybe I should leave it here.” I told her that sounded good to me. It’s been over a month since Kate’s cataract surgery. It has definitely improved her vision – at least in some ways. I notice that she tries to read more than she did before. By “read” I mean to read a headline in a magazine or signs she sees wherever we go. Occasionally she makes an effort to read an article in a magazine, but the font is almost always too small for her. The major problem is not her eyes. It’s her Alzheimer’s. That was evident at lunch when I asked if she was going to eat her sandwich. She said, “Where is it?” This, too, is not unusual. She frequently fails to notice food that is on her plate. Once I pointed it out to her, she took a bite and put it down. A few minutes later when she hadn’t taken another bite, I asked if she wanted the rest of her sandwich. She asked me where it was. I believe part of the problem has nothing to do with her sight. I say that because she seems to locate most of the fries. I notice something similar when she has salmon and sweet potato fries at the Bluefish Grill. It was noisier than usual at lunch. We were seated near a group of twelve on one side and eight on the other. Noise always bothers Kate. She was especially sensitive to that yesterday. She was in a generally good humor but annoyed by the chatter coming from both directions. When we got home, we had about forty minutes before we needed to leave for her massage. She wanted to know what she could do. I suggested we sit on the sofa in the family room and go through the “Big Sister” album. She enjoyed that a lot but needed help identifying everyone. I think most of the problem is that people don’t look the same in photos taken at different times. Her Alzheimer’s also plays a part. For example, in a picture of four people standing side by side, I could help her identify the person on the extreme left. Then I would tell her the name of the person standing next to him. She has a tendency to skip that person and see the person to the right of him. That occurred several times even when I had my finger on the photo of the person. It’s not something I can understand. I just know it happens. It wasn’t long before it was time for Kate’s massage. I left her there while I waited at Whole Foods which is a couple of doors down from the spa. When I went back to get her, she was sitting in a chair in the waiting room. She said, “Boy, am I glad to see you. Let’s get out of here.” It is always hard for her to explain how and why she feels a certain way, but I gathered that she was very confused about the whole process. She didn’t know what was going on when the therapist put her hands on her. I hadn’t thought about this before, and she has never acted this way before. She probably didn’t remember what it is like to have a massage. In addition, the therapist was someone she had not seen in quite a while. I am sure everything seemed strange to her even though I have been taking her twice a month for about three years. She has never expressed any enthusiasm about her massages, but I thought they must be enjoyable. Now, I am reconsidering. I think I’ll try one more time. If she isn’t happy with that, I’ll stop taking her. The rest of the day went well. When we got home, we picked up her photo album again and looked at it until it was time for us to leave for jazz night at Casa Bella. We have heard the singer and the woman on the keyboard many times over the years. They are well-known locally and around the state. It was a very good evening. Kate had trouble hearing and understanding a lot of the conversation, but we were sitting with the same couple we’ve been with since the music nights began. They operated the restaurant for many years until they turned it over to their daughter and her husband. Shortly after we were seated, Kate said, “What’s the name of this place?” I told her and then said, “And this is the daughter of the woman who started the restaurant.” Kate had, of course, forgotten that as well. It was not an uncomfortable slip since the couple are aware of Kate’s Alzheimer’s and have been very supportive of her. We got home a little later than usual, and Kate went to bed right away. It was a day of ups and downs, but it’s always good to end on a high note. We did. I have often expressed how fortunate Kate and I have been. We’ve not had to face some of the problems that others encounter. Social isolation is often a problem for couples living with Alzheimer’s. That has not been an issue for us. It is true that we don’t attend many events that keep us out past 9:00, but in other respects we still get around. I’ll never know if that has played a role in Kate’s doing so well. I do know it has helped us maintain the quality of our lives. Wednesday night we had dinner with friends we originally met at Broadway night at Casa Bella. We’ve gotten together with them for dinner a number of times in recent months. Kate and I have enjoyed their company. We always have a good time. Yesterday we had lunch with a church friend. He and Kate became friends when she was the church librarian. His wife died about four years ago. She had Alzheimer’s, and he has been very sensitive about our situation. He stays in touch by phone, but this was our first time to have a meal together. We talked about our getting together again and look forward to that. It was Opera Night at Casa Bella last night, and we had an especially good time. A new couple joined our table, both church friends. The husband is a professor of voice at UT. The two singers were students of his, both working on their PhDs. There were a number of ties that made it an interesting evening. Our church friends also knew the couple we sit with. For many years, they had been neighbors. The music was also outstanding. Kate and I first heard the male singer when he was an undergraduate four or five years ago. It was amazing to see how much he has improved since that time. The soprano was someone we remembered having sung in our church choir several years ago. I was pleased to see Kate insert herself into the conversation, but I felt she was just on the edge of doing it inappropriately. We had an active conversation. That can be difficult for her. She handled it well. We have come to know (at least recognize) many of the people who attend. As the crowd gathers, people “greet and meet” those already there. Some of them are aware of Kate’s Alzheimer’s and are especially attentive to her. I like that because large groups are challenging for her. When I turned into the driveway at our house, she said, “I like the place where we’re staying.” After we pulled into the garage, she commented on what a nice garage it was. Once inside, she needed me to guide her to our bedroom and bathroom, but I didn’t hear anything more that suggested she thought we were in Texas. That is becoming more common these days. My video cam continues to help me monitor Kate in the morning. About 7:30 yesterday, I saw that she was about to get up and went to the bedroom. When she saw me, she said, “Do I have a meeting I have to go to?” I told her she didn’t. She asked if I was sure. I assured her she had no obligations and could rest a little longer. I took her to the bathroom and then back to bed. She asked again if she had a meeting. She must have had a dream that she did. She was glad to be able to return to bed. About 9:30, I saw that she was getting up again. When I got to the bedroom, she said she wanted “to get out of here.” I helped her up and to the bathroom and turned on the shower. Before getting in the shower, she said, “You’re really nice to do this.” I said, “I’m glad to help you whenever I can. I love you.” She hadn’t said anything that would indicate that she remembered my name or that I am her husband, but I felt that she did. As she was getting dressed, she joked with me about something. I said, “You have quite a sense of humor.” She said, “So do you.” I said, “I guess that’s why we’ve gotten along so well.” Then I asked if she knew how long we had been together. She guessed fifty years. I told her we had been married for fifty-five years. Then I added “Fifty-five great years.” She didn’t express any surprise and said that we had done a lot of great things. Before walking out of the bedroom, she saw a wedding photo of our daughter and asked who she was. I told her that was our daughter. Again, she didn’t act surprised. From Panera, we went to our church where the seniors were having a Mardi Gras luncheon. The entertainment was a saxophone player playing music closely identified with New Orleans. She enjoyed it. About mid-way in the program, she tapped me on my shoulder. I leaned toward her so that she could whisper in my ear. She said, “What’s your name?” A few minutes later, she said. “Where in the world are we?” When I told her we were at our church, she gave me a strange look. I quickly realized she didn’t think it looked much like a church since we were in our fellowship hall that used to double as a gym. We both enjoyed seeing people we know but hadn’t seen in a while. The seniors meet once a month, but I somehow forget to make reservations. This time someone called to remind me. The highlight for Kate came when the saxophonist played some Dixieland music, and his wife led a conga line around the room. Only fifteen or so participated. I was one of them. Kate got a real kick out of seeing me dance around the room. Later, as we walked to our car that was parked in front of the sanctuary, she asked, “What’s the name of this church?” I told her. She had no recognition. Then I told her this was where she had been the volunteer church librarian. At first, she didn’t remember. Then I told her what a good job she had done there. That jogged her memory, and she mentioned a few things she had done in that position. On the way home, she said, “I love you.” She followed that by asking my name. She was remarkably at ease during each of these moments her memory failed her. It had been over a month since her last pedicure. I was beginning to feel a little guilty so I made an appointment shortly after getting home. It was no surprise that she didn’t remember anything about the procedures involved. I helped her into her chair. She commented on the water. I left her in the hands of the attendant but waited in an area where I could watch her. She hadn’t been seated long before I heard her say, “What’s the name of this place?” The woman attending her answered. Then she asked what kind of place it was. As I watched, it looked like something she must have enjoyed. When I asked her afterwards if she had enjoyed it, she shrugged. I suspect by that time she didn’t remember even though we were just outside the door to the salon. We went back home where she rested in the family room for an hour. Then she picked up a photo album of her father’s family. She had not looked at it recently and was taken with it. While she had to ask me the names of all the people multiple times, I felt the major problem was not her vision but the Alzheimer’s impact on here sight. She seemed to have a keen recollection of most of her family except some of those who had moved away from the Fort Worth area. The best part of the day occurred when a childhood friend from Fort Worth called. Kate was quite alert. A few minutes before the call I told her the friend was calling, but I didn’t expect Kate to remember her. If she didn’t remember, she fooled me. She handled the call with poise. I sat beside her during the call and chimed in from time to time. The biggest surprise was when she remembered the name of another childhood friend. In addition to being so “with it,” she was unusually expressive in her appreciation to me. That was true even for things I had nothing to do with. One of those involved the photo album of her family. She gave me credit for everything I had done. I told her I hadn’t done it, but she said I had assisted in getting it done. Actually, I had nothing to do with it. It was put together entirely by her brother Ken. The rest of the day went smoothly. She was in a good mood all day. 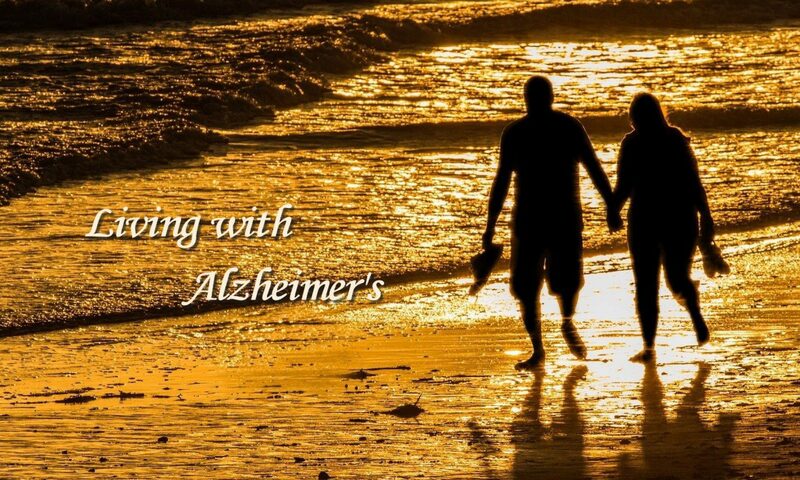 Except for the various questions she asked about names and places, no one would have ever suspected she is into her ninth year of Alzheimer’s and what I estimate to be the middle of Stage 6 of the Seven-Stage Model of the Progression of Alzheimer’s. How lucky we are. Kate was a little more alert when she got up yesterday. She seemed to know me and didn’t express any confusion about where she was. She was very consistent in her failure to know where the bathroom is. I don’t mean to suggest that she can’t find it but that she doesn’t know which direction to go in to find it. She consistently asks me where it is in the morning as well as most other times during the day. There are sometimes when she gets there on her own. In those cases, I doubt she knows in advance exactly where she is going. I think she remembers the direction. As she gets closer, she recognizes how to get the rest of the way. Several times during the morning, she asked my name and our relationship. Each time I told her I was her husband. It was hard for her to grasp, but she believed me. I don’t recall her asking again the rest of the day. She continued to have trouble remembering Frank Sinatra’s name when we were at lunch. I won’t hazard a guess as to how many times she asked his name. She specifically commented about her inability to remember his name. She thought it was strange that she has to keep asking me. For some reason that makes me think about something else I haven’t mentioned before. Even though she doesn’t drive, she sometimes talks about the way to get home from wherever we have been. She says she needs to be sure how to get home if she were driving. She says this as though she is still drives even though it has been over five years since she has driven a car. Similarly, she talked about working on her computer last night although it has been at least three years since she gave that up. I’m not sure why she does this, but I think it is good that she senses that she is involved in things that have long since dropped out of her life. I gave out another of my Alzheimer’s cards last night. As we left the restaurant, a man stopped us and introduced himself. It turned out that he is a member of our church. He and his wife were just finishing up their dinner. We talked with them about ten minutes before moving on. During our conversation the topic of colleges came up. The man asked Kate where she had gone to school. She blanked. That is somewhat surprising because one of the memories that seems to be the strongest is her connection to TCU. I stepped in and told them a little about her family’s history with the university and that our grandson is the 60th member of the family to attend. We talked about several other things before we started to leave. That’s when Kate wanted me to tell them about her family and TCU. She had forgotten my having told them a few minutes earlier. I gave them a brief review of what I had said. I also got a card out of my wallet and placed it on the table in front of the man before we walked away. I was never sure that I would find an occasion to use them. I’ve had them about a month and given out six or seven during that time. I suspect I’ll use more in the future. They are handier than I had expected. Yesterday was a beautiful day weather wise. We enjoyed the weather and our time together. Life is good. When I went in to wake Kate yesterday, I wasn’t sure what kind of day it would be. She opened her eyes as I approached the bed and gave me a very warm smile. It looked like a time when she knew me. I said good morning and told her I loved her. Then I said, “I hate to get you up. You look so comfortable.” Her face turned to sadness, and she said, “This isn’t easy.” I didn’t know what she meant and asked what was wrong. She hesitated and said, “It’s hard to put in words.” I encouraged her to help me understand. Then I said, “I want to help you.” She said, “What can you do?” I said, “I can be your friend and comfort you.” She said, “I like that,” but she didn’t say anything more. I let it go. I suggested she get up and take a shower. She accepted the suggestion and seemed all right for the balance of the day. She periodically has these moments of worry or anxiety. When she says things like “This isn’t easy,” I can only wonder if she is talking about her Alzheimer’s. It always sounds like it, but I can’t be sure. I am confident that she no longer knows she has the disease; however, I know she recognizes her memory is gone. She sometimes expresses concern about it. More frequently, she says, “Don’t tell me more. I won’t remember it.” Sometimes she stops working her puzzles when she knows she is not thinking clearly. She says she is tired. Yesterday she had a similar experience with her “Big Sister” album. She can only process so much information. These moments are the hardest ones for me. I am often amazed at how quickly she can forget. At lunch, she said, “What is your full name?” I said, “Richard Lee Creighton.” She said it and then tried to say it again and couldn’t. She asked me to say it again slowly. After I did, she said, “Now let me say it.” She said it twice, took a slight pause and said, “What is it again?” She had forgotten again in a split second. It’s like turning a light switch on and off. I don’t know if she knew me as her husband earlier that morning, but I know she did when we returned home after getting haircuts. She wanted something to drink. I told her we had apple juice and water. She eagerly said, “Can I have apple juice?” I told her she could and added, “I only let my best girl friends have apple juice.” She quickly said, “I better be your only girlfriend. We’re married you know.” A quick response like this is not uncommon. I was playing a CD of A Chorus Line. I know that she enjoys the music, but I was surprised at her laughter at the lyrics of one of the songs. Apart from that I had no sense of her listening to the lyrics. I thought it was just the music she paid attention to. There are also moments when she does something that I don’t like. She will say, “I know that bothers you.” Then I say something like, “No, that’s just fine.” She follows that with “I know you’re just trying to be nice.” She is still insightful. The highlight of the day for both of us was our weekly dinner at Bonefish Grill. As the host was showing us to our table, we passed someone I hadn’t seen in several years. He and my dad were good friends who met in a seniors’ writing class. Dad was 26 years his senior and he (like many others) took an interest in the fact that Dad seemed so much younger than his years. He introduced us to his lady friend and told us that she was moving from New York City to live with him. We chatted a few minutes. Then they invited us to join them. We accepted their invitation and had an interesting time catching up and learning about his new friend. They had been college sweethearts at the University of Illinois in the late 50s and early 60s. They had lost touch since college, and each had married other people. Their spouses had died, and he looked her up and found her. That was several months ago. Kate and I have traveled to New York quite a few times. That and the warmth of the couple enabled her to feel comfortable in participating in the conversation. We had a great evening together and talked about our getting together again when she makes her move in March. At one point while the two women were talking, I had an opportunity to ask my friend if I had told him about Kate’s Alzheimer’s. He said I had and told me that his friend is facing the same thing. It’s just one more reminder of how common this disease is. I plan to stay in touch with him. It was a week ago yesterday that Kate had her cataract surgery. It is clearer to me that she is able to see more easily now. Her vision is far from perfect, but now I am reasonably sure it is the Alzheimer’s and not her actual vision that is the problem. Yesterday she picked up her “Big Sister” album. The cover photo had caught her as eye as she walked by it in the family room. She thought the picture of her brother was our son, but that is definitely related to her Alzheimer’s. As she leafed through the pages, she tried to read the text. In the past, she has just looked at the pictures. I feel good about our going ahead with her surgery. I am sure it will continue to have a payoff even as she declines further. Our son and his family are coming for a visit during their spring break. Her improved vision should enhance her experience with them. It is difficult enough to have lost memory, but to lose her ability to see could have made a major difference in her quality of life.